Coriolan is definitely overlooked. Maybe because It's not aimed to wow you, it's not groundbreaking, it's not trendy or modern but let me tell you it is extremely solid. A dry woody chypre with a bittersweet character. Sharp and bitter in the opening with green citruses joined by juniper, various herbs and peppery hints, mossy/woody with leather refinements and subtle floral patterns in the outstanding drydown (which is the real point of strength of this composition). 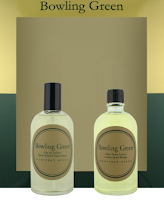 Patchouli and some vetiver reinforce the overall classic quality. Serious and classy. 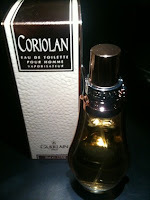 Yet another "reliable" fragrance by Guerlain. 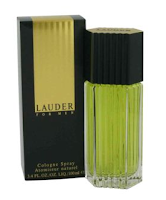 Lauder Fer Men sits somewhere between a spicy fougere and a citric chypre. At a first sniff it could be easily dismissed as its classic structure may brings to mind of many fragrances of the same genre/period, but if you go deeper you'll discover an outstanding composition that, through the usual chrisms of the 80's powerhose style, is able to create its own language made of floral patterns, green notes and slight animalic nuances. An overall aromatic aspect is clearly reamrkable throughout the fragrance evolution and reaches the top of its relevance when the green tobacco note starts to play. Overall Lauder for Men is a fragrance that moves in two different territories for several aspects: It's strong and bold as an 80's powerhouse but at the same time takes the distance from the most typical compositions of the genre by introducing a few feminine elements in its structure (manily the florals). It settles halfaway between the american masculine style and the european taste (vanilla in the base). It's classified (and to me also smells) as a spicy fougere but it also has many characteristic of a chypre. A great composition. Be careful with dosage as Lauder For Men can easily turn into Louder For Men. I blind bought a 125ml bottle of Ferre For Man just because a very good friend of mine (did I say Lana Lool?) was absolutely enthusiastic about this fragrance and as I hold in high regard this man (for his countless values) I went for this purchase with no hesitation. I've to admit it took for me a while to fully appreciate this composition as the opening notes (mainly bergamot and lavender) are not among the best examples of a "catchy opening". They're kind of edgy and too acidic but fortunately they quickly evolve into an amazing fougère made of woods, leather, tobacco, vetiver and floral patterns. Elegant, extremely complex and refined but absolutely not affected as it gathers together more than a single aspect of the 80's powerhouse style. 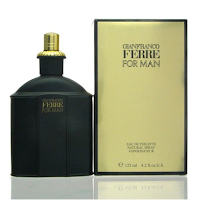 Don't get me wrong, Ferre For Man is not as powerful/overwhelming as many other fragrances of the same genre but, just for that, it can represent a terrific alternative for anyone who's in the mood for a lighter fougere which still shows a considerable amount of testosterone. As a matter of fact, Ferre For Man rapidly became one of my favourite fragrance in the vintage designer's range being a fantastic example of a complex masculine. Great lasting power, good sillage, remarkable personality. Quality stuff. A great all-rounder, an all time favourite. A classic and refined aromatic fougere the goes in the same direction as Tuscany per Uomo. A green aromatic opening with the usual lavander/citruses accord joined by bitter herbs and geranium. Oakmoss and vetiver make their appearance just right after enhancing the "classicism" of this composition. 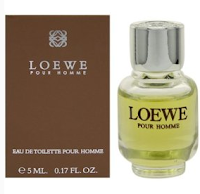 Compared to other similar fragrances of the period, Loewe Para Hombre is definitely more restrained and mannered and focuses on the fresh aspect of its components. Light, easy to wear and well crafted. No surprise. If you like vintage fougeres but you're not into powerhouse, go for it. A civilized powerhouse. Sounds like an oxymoron? Try and see. Leather, green and herbaceous notes, pine, artemisia and lavender surrounded by a remarkable soapy vibe and laying on the usual musky/mossy base. An extremely elegant chypre. Sort of Yatagan after an haircut. Great projection, reasonable lasting power. I bought Bowling Green for 10$ at a discount store. I never smelled it before and I just took it as I love Grey Flannel. What a surprise. It has a shiny / transparent opening with sparkling green notes, lemon and lavander (i also get juniper somewhere). After that it stays linear for quite a while to turn in the very end into a bloder spicy-woody-citrusy drydown (tones of cedarwood, be advised). 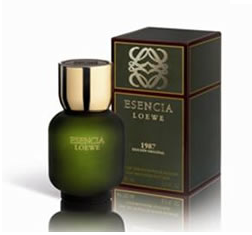 This scent is quite intense, has a nice projection and some lasting power. 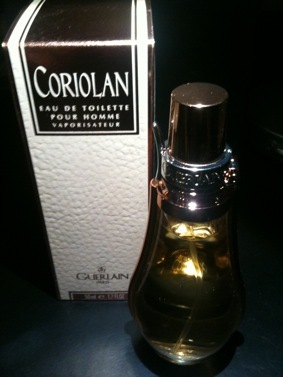 Nothing really exceptional and for a few aspects it runs on the edge of cheapness but it smells definitely good and it's perfect for spring-summer time. Very Nice! A few to explore and a few to seek out.